All tied in knots, and not just over a guy? 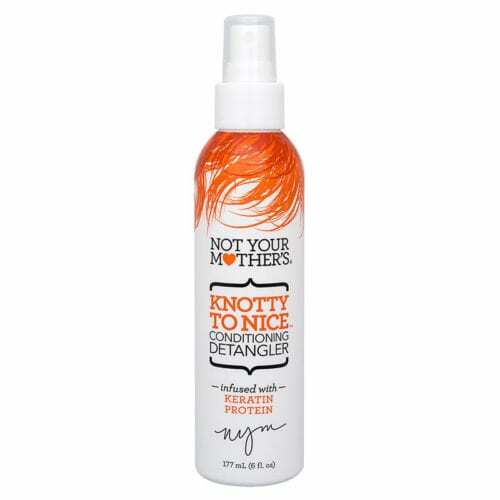 Grab Knotty to Nice and all your twist and tangles can be turned into tasteful tresses. This detangling formula will moisturzie your hair and separate sticky locks leaving you with smooth hair and pain-free brushing. Infused with Keratin protein, this salon formula leave-in conditioner will have you and your hair nice and neat… until you mess it up again (*wink*). Spray liberally onto hair. Comb through, starting from the ends working your way up to the roots. Can be used on wet or dry hair.